Guest act, Amoura, kicks off the evening for Tiger Jams’ finalist Donamarie’s showcase on Aug 20 at KL Venue, Fahrenheit 88. Starting the night was performance by Amoura. We found the Korean Lead Singer Carolyn Park rather fetching. 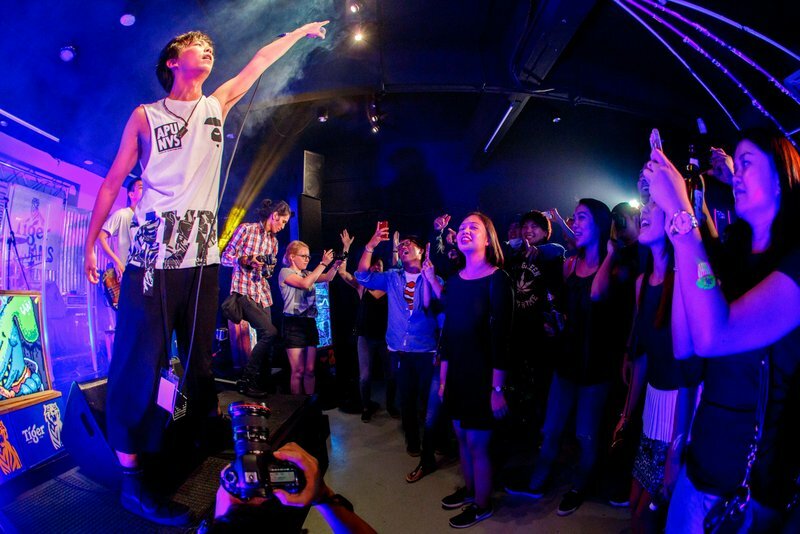 1a Tiger Jams’ finalist Donamarie show supporters what they are made off at their showcase held at KL Venue, Fahrenheit 88 on Aug 20. Next was the Main band. Donamarie. Their musical style was similar to the rap rocks Gods of the days. Limp Bizkit. We found it entertaining. 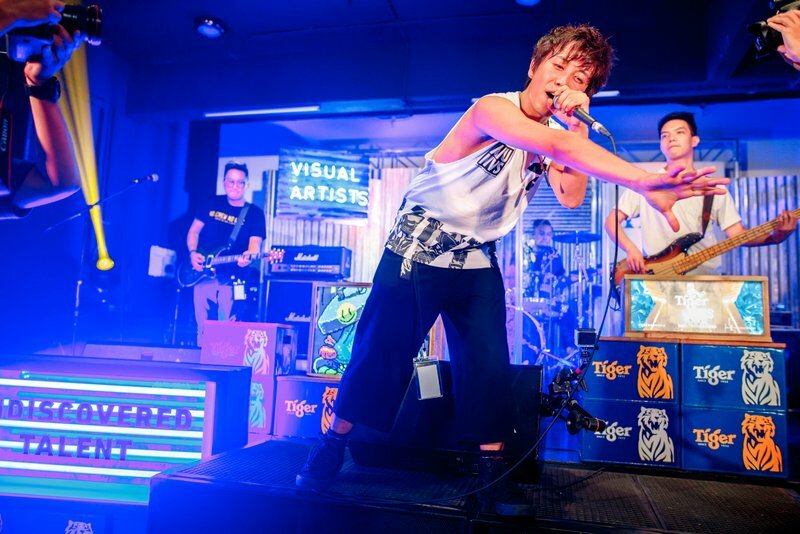 2a Hong Kong punk pop band, ToNick – one of three acclaimed Asian acts for Tiger Jams, brings the night to a close. The finale was ToNick. 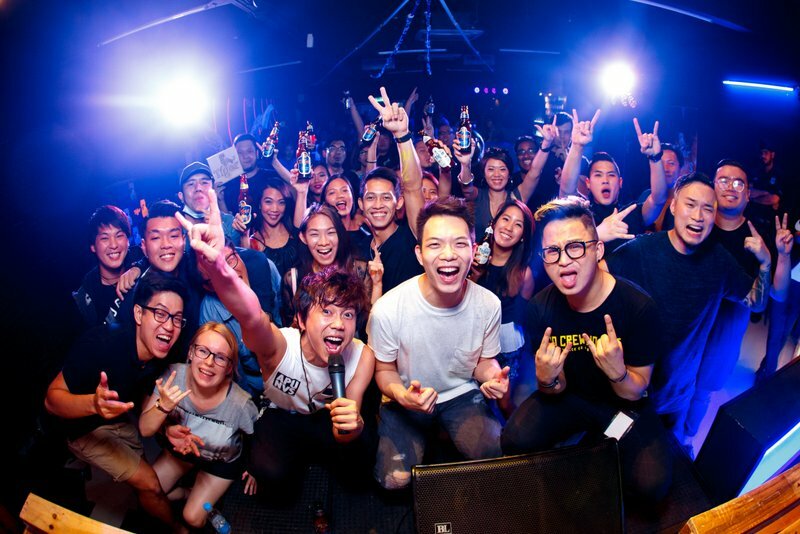 A Pop rock band from Hong Kong. The Lead Singer was charming and he had the crowd enthralled by he’s charm and sweet vocals. It’s no wonder that we notice that the front of the stage was occupied by ladies. 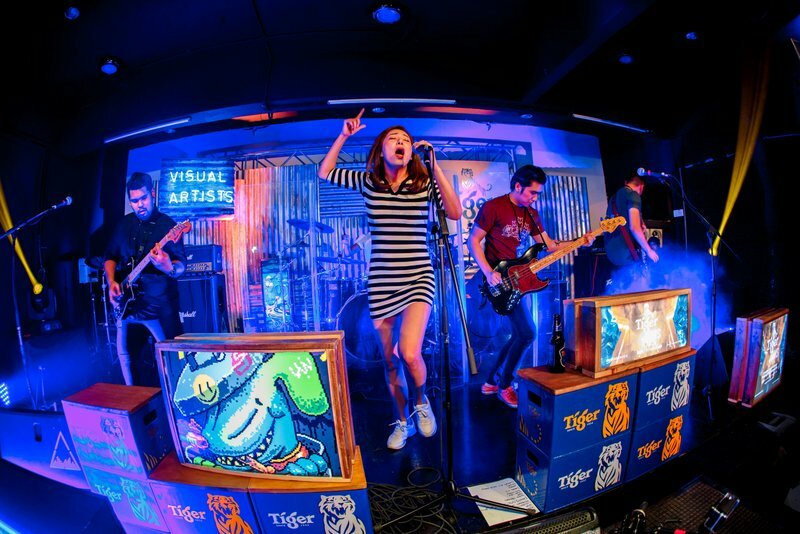 2b Hong Kong punk pop band, ToNick – one of three acclaimed Asian acts for Tiger Jams, brings the night to a close. 2c It’s a wrap. 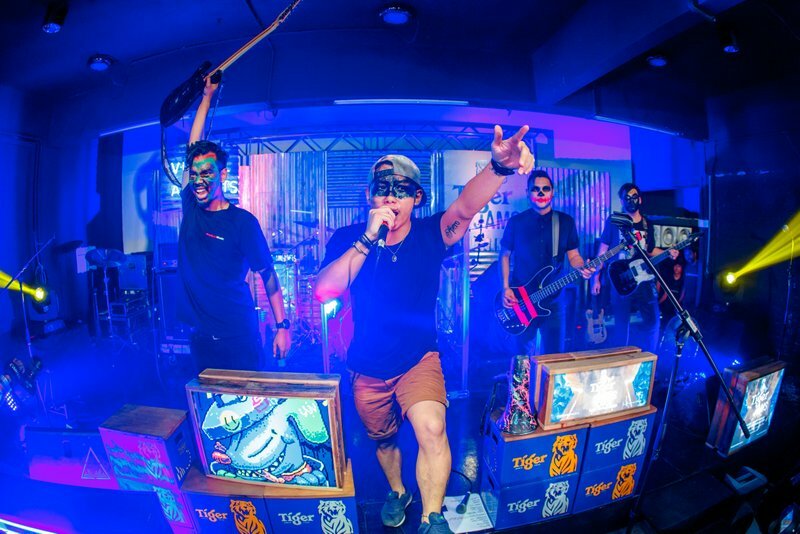 Hong Kong punk band, ToNick – one of three acclaimed Asian acts for Tiger Jams, will return for the finale on Sept 2 at Trec KL. 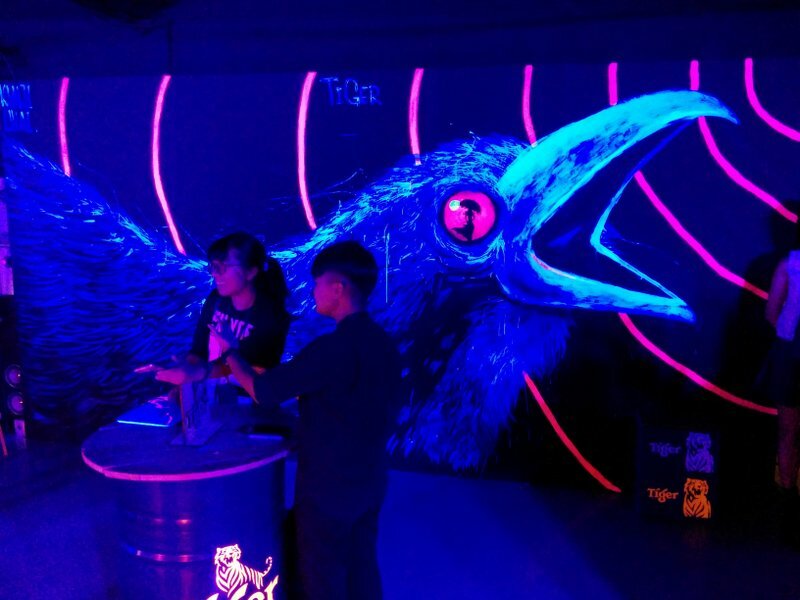 One of the highlights of that night was The Crow mural was local artist Kenji Chai. Over the years we were impressed by many of he’s work. And this one tops the cake. 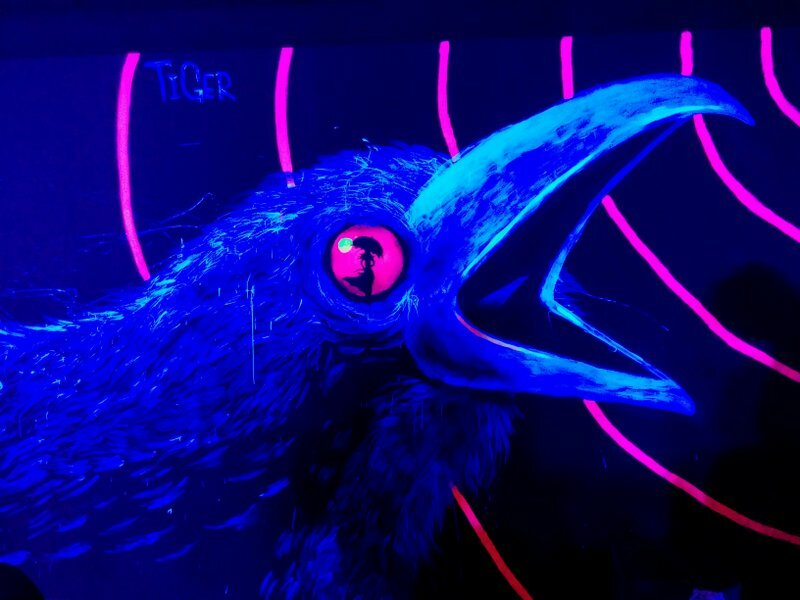 He is a talented artist, and we are glad Tiger Beer is contributing to the local art scene in this way. 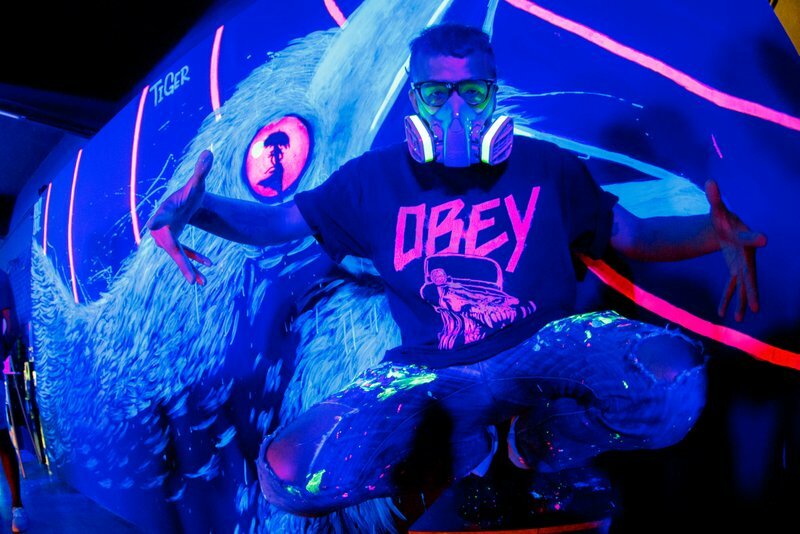 Graffiti artist, Kenji Chai, strikes a pose before his glow-in-the-dark artwork at Donamarie’s showcase on Aug 20 at KL Venue, Fahrenheit 88. 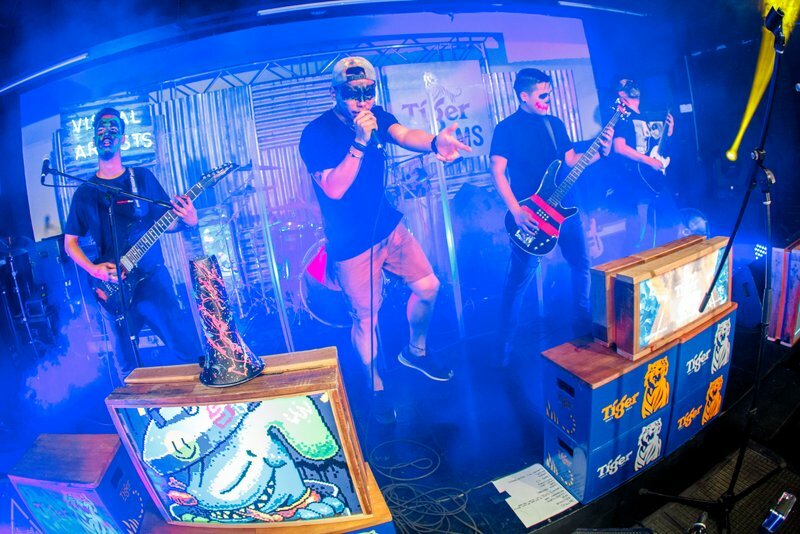 This entry was posted in News and tagged live band, music, tiger beer, tiger jams, uncage music by TheGoodGoodGuy. Bookmark the permalink.